Great interview with one of my all time favorites. and I guarantee she knew what it was about, absolutely." Climb aboard little wog sail away with me"
get from a song. When I’m doing “Rednecks” for a crowd and they’re like “We’re rednecks, yeah!”, that bothers me. It’s closer to home." Satire, sarcasm and irony can be as difficult in music as it is in a forum discussion with a conservative, but for those who understand, Randy is one of our best. "One of the best things I do is assignments. I do it easily, and I do it well. People say, “Isn’t it a sellout?” No, it’s who I am. If you want me to write a song about an Albanian gardener who moves to Bulgaria, I’ll do it. I’m a professional songwriter. And that’s fine with me." And we're keepin' the niggers down"
Consequence of Sound: Eddie Vedder reunites with South African high school choir, covers The Beatles: Watch. 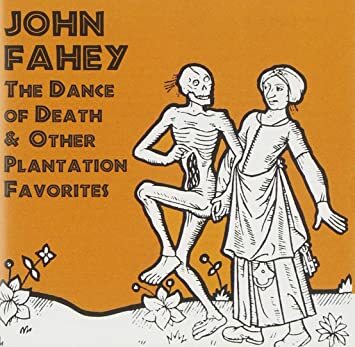 Is anyone familiar with John Fahey? The minimilistic genre is described as "American primitive guitar". Be honest, you found him because you thought it was going to be death metal, right? Been listening to him since high school. Yeah, he's good stuff. I just learned that Fahey discovered Kottke. The same guy turned me on to both, but it took Wiki to show me the connection. I've never seen Fahey, but Kottke is way fun to watch - strings everywhere.